2. Amir O., Amir R., Yamin Ch., Attias E., Eynon N., Sagiv M., Sagiv M., Meckel Y. The ACE deletion allele is associated with Israeli elite endurance athletes. Exp. Physiol. 2007;92:881-886. 3. Cassis L., Helton M., English V., Burke G. Angiotensin oxygen consumption. Am. J. Physiol. Regul. Integr. Comp. Physiol. 2002;282:445-453. 4. Charbonneau D.E., Hanson E.D., Ludlow A.T., Delmonico M.J., Hurley B.F., Roth S.M. ACE genotype and the muscle hypertrophic and strength responses to strength training. Med. Sci. Sports Exerc. 2008;40:677-683. 5. Cieszczyk P., Krupecki K., Maciejewska A., Sawczuk M. The angiotensin converting enzyme gene I/D polymorphism in Polish rowers. Int. J. Sports Med. 2009;30(8):624-627. 6. 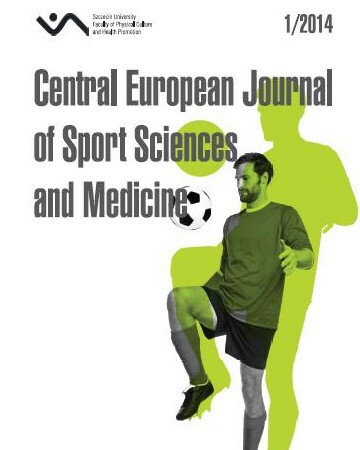 Cieszczyk P., Maciejewska A., Sawczuk M., Ficek K., Eider J., Jascaniene N. The angiotensin converting enzyme gene I/D polymorphism in ellite Polish and Lithuanian judo players. Biol. Sport 2010;27:119-122. 7. Collins M., Xenophonotos S.L., Cariolou M.A., Mokone G.G., Hudson D.E., Anastasiades L., Noakes T.D. The ACE gene endurance performance during the South African Ironman Triathlons. Med. Sci. Sports Exerc. 2004;36:1314-1320. 8. Gayagay G., Yu B., Hambly B., Boston T., Hahn A., Celermajer D.S., Trent R.J. Elite endurance athletes and the ACE I allele - the role of genes in athletic performance. Hum. Genet. 1998;103(1):48-50. 10. Gordon S.E., Davis B.S., Carlson C.J., Booth F.W. ANG II is required for optimal overload-induced skeletal muscle hypertrophy. Am. J. Physiol. Endocrinol. Metab. 2001;280:E150-E159. 11. Hopkinson N.S., Sharshar T., Ross E.T., Nickol A.H., Dayer M.J., Porcher R., Jonville S., Moxham J., Polkey M.I. Corticospinal control of respiratory muscles in chronic obstructive pulmonary disease. Respir. Physiol. Neurobiol. 2004;41:1-12. 12. Hruskovicová H., Dzurenková D., Selingerová M., Bohus B., Timkanicová B., Kovács L. The angiotensin converting enzyme I/D polymorphism in long distance runners. J. Sports Med. Phys. Fitness. 2006;46(3):509-513. 13. Jones A., Montgomery H.E., Woods D.R. Human performance: a role for the ACE genotype? Exerc. Sport Sci. Rev. 2002;30:184-190. 14. Jones A., Woods D.R. Skeletal muscle RAS and exercise performance. Int. J. Biochem. Cell Biol. 2003;35:855-866. 15. Kruk J. Good scientific practice and ethical principles in scientific research and higher education. Cent. Eur. J. Sports Sci. Med. 2013;1:25–29. 16. Leonska-Duniec A. Genetic research in modern sport. Centr. Eur. J. Sport Sci. Med. 2013;3:19-26. 17. MacArthur D.G., North K.N. Genes and human elite athletic performance. Hum. Genet 2005;116:331-339. 20. Moreau M.E., Garbacki N., Molinaro G., Brown N.J., Marceau F., Adam A. The kallikrein-kinin system: current and future pharmacological targets. J. Pharmacol. Sci. 2005;99:6-38. 22. Myerson S., Hemingway H., Budget R., Martin J., Humphries S., Montgomery H. Human angiotensin I-converting enzyme gene and endurance performance. J. Appl. Physiol. 1999;87:1313-1316. 23. Nazarov I.B., Woods D.R., Montgomery H.E., Shneider O., Kazakov V.I., Tomilin N.V., Rogozkin V.A. The angiotensin converting enzyme I/D polymorphism in Russian athletes. Eur. J. Hum. Genet. 2001;9:797-801. 24. Puthucheary Z., Skipworth J.R., Rawal J., Loosemore M., Van Someren K., Montgomery H.E. The ACE gene and human performance: 12 years on. Sports Med. 2011;41(6):433-448. 26. Rieder M.J., Taylor S.L., Clark A.G., Nickerson D.A. Sequence variation in the human angiotensin converting enzyme. Nat. Genet. 1999;22:59-62. 27. Rigat B., Tiret L., Visvikis S., Breda C., Corvol P., Cambien F. Evidence, from combinet segregation and linkage analysis ACE levels. Am. J. Hum. Genet. 1992a;51:197-205. 28. Rigat B., Hubert C., Corvol P., Soubrier F. PCR detection of the insertion/deletion polymorphism of the human angiotensin converting enzyme gene (DCP1) (dipeptidyl carboxypeptidase 1). Nucleic Acids Res. 1992b;20:1433. 29. Scanavini D., Bernardi F., Castoldi E., Conconi F., Mazzoni G. Increased frequency of the homozygous II ACE genotype in Italian Olympic endurance athletes. Eur. J. Hum. Genet. 2002;10:576-577. 30. Taylor R.R., Mamotte C.D.S., Fallon K., van Bockxmeer F.M. Elite athletes and the gene for angiotesin-converting enzyme. J. Appl. Physiol. 1999;87:1035-1037. 31. Ueda S., Elliott H.L., Morton J.J., Connell J.M. Enhanced pressor response to angiotensin I in normotensive men with the deletion genotype (DD) for angiotensin-converting enzyme. Hypertension 1995;25:1266-1269. 32. Wagner H., Thaller S., Dahse R., Sust M. Biomechanical muscle properties and angiotensin-converting enzyme gene polymorphism: a model-based study. Eur. J. Appl. Physiol. 2006;98:507-515. 33. Williams A.G., Rayson M.P., Jubb M., World M., Woods D.R., Hayward M., Martin J., Humphries S.E., Montgomery H.E. The ACE gene and muscle performance. Nature. 2000;403:614-615. 34. Woods D.R., Humphries S.E., Montgomery H.E. The ACE I/D polymorphism and human physical performance. Trends Endocrinol. Metab. 2000;11:416-420. 36. Villard E., Soubrierr F. Molecular biology and genetics of the angiotensin I-converting enzyme: potential implications in cardiovascular diseases. Cardiovasc. Res. 1996;32:999-1007. 37. Yamin C., Amir O., Sagiv M., Attias E., Meckel Y., Eynon N., Sagiv M., Amir R.E. ACE ID genotype affects blood creatine kinase response to eccentric exercise. J Appl. Physiol. 2007;103:2057-2061. 38. Zhang B., Tanaka H., Shono N., Miura S., Kiyonaga A., Shindo M., Saku K. The I allele of the angiotensin-converting enzyme gene is associated with an increased percentage of slow-twitch type I fibers in human skeletal muscle. Clin. Genet. 2003;63:139-144.